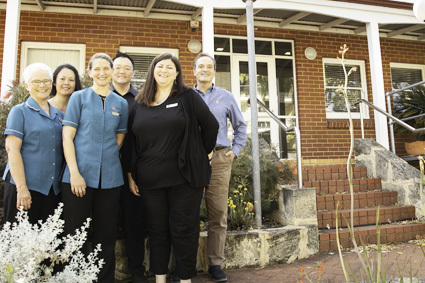 May St Dental Centre has been a part of the East Fremantle community for more than 20 years. Our modern, boutique-style dental practice provides care for your entire family. With two dentists and two hygienists on staff, we are here to cater to your needs by offering general, cosmetic and restorative dentistry. Dentists Dr Justin Ho and Dr Mark Pastorino welcome you! We believe in taking a tailored approach to your dental care. That means we’ll keep your wellbeing in mind at all times, never recommending services that aren’t necessary. We’ll take all the time necessary to listen to your concerns, identify your oral health issues and detail all possible treatment options to you. Our wide range of solutions includes endodontics, wisdom teeth extractions, orthodontics, dental implants and more. We see all ages at our clinic, starting with children who are getting their first teeth. Adults all the way to seniors who may require dentures or dental implants can receive the high-quality restorations they seek with us. We accept the Child Dental Benefits Schedule, which covers up to $1000 every two years for eligible children. Contact our friendly team today to arrange your first appointment! We accept all health funds with HICAPS and provide flexible payment plans.